Also known as Endodontic therapy, root canal treatment is a process which is performed to cure infections in tooth and its root, securing it not to get infected again. It is carried out in the pulp of the tooth. Talking about the term “root canal”, it is a part of a tooth, a hollow section that contains the nerve tissues, blood vessels and other cells which is on a combined form, known as the “Pulp”. The structure of a tooth can be divided into two main parts-the crown and the root. The section which is above the gum-line is known as the crown whereas the inner section below the gum-line is known as the ‘root’ that attaches the tooth with the jawbone. 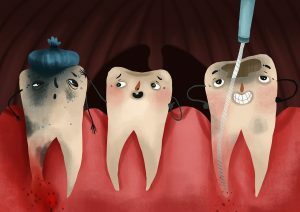 Now, the pulp filled inside the root canal nourishes the tooth, providing moisture. The process is known as root canal or endodontic therapy because it is performed in the root canal or you can say inside the tooth below the gum line. The term “root canal” is commonly used as compared to the scientific term. If the pulp of a tooth gets injured by any means or gets infected, it cannot repair the damage by itself and hence the tissues die. In some other cases, if it gets deep, the tooth is damaged or gums get loosely attached to the tooth, it allows bacteria to enter into the pulp and hence, the root canal gets infected. If bacteria succeed to penetrate through the root openings, it can also cause infection to the jawbone, resulting in the swelling of ligaments around the tooth, sensitivity and pain. If it is not treated on time, the infection spreads across the jawbone and finally you have to extract your tooth which is more painful and cost consuming. The root canal treatment stops the infection from increasing, saves your tooth and eliminates your pain. Cleaning– First, the root canal is emptied be removing the diseased or infected pulp with the help of respective instruments (very small files) after the section of the mouth being numbed with local anaesthesia. Filling- Once the cleaning is done; dentists decontaminate the area using small files and irrigation solutions after which the tooth is filled with a material (rubber like) with the help of adhesive cement to seal the canals. After this session, the tooth becomes dead (no sensitivity) as the pulp has been removed from the root and hence the patient doesn’t feel any pain. Adding a crown– As the pulp has been removed away from the root, the tooth needs nourishment that is given by ligaments but takes some time. Unless the tooth becomes brittle. Hence to prevent the tooth from being brittle, a crown or filling process is done. The patient is omitted to bite or chew from the particular tooth until the crown of filling process is not completed. The whole process of root canal can be performed in one session only if the problem is minor. In case of curved canals, multi-canals and major infections, the process could be performed in two to three segments. 1- It releases you from your long time suffering from pain, swelling, and sensitivity as when the infected pulp is removed from the root canal, there is nothing left inside that causes pain. It’s a myth that root canal treatment causes pain in fact it helps to heal from that pain. 2- After a root canal treatment, one can easily chew and bite their favourite meal without any pain or soreness. 3- It prevents jawbone degeneration and also secures the tooth to get infected again. 4- It removes the infected pulp of the tooth that can cause major infection which is epidemic to other tooth as well. According to the present scenario where the problem of root infection has increased drastically, the cost of root canal treatment is approximately 3000–6000 INR but it varies depending on the case of root canal infection and the number of appointment required for that. This procedure involved chemical compound, fine apparatus and tools to operate the canal and other medical supplements on which basis, you are charged. However, dental specialists in Ahmedabad who are skilled in this treatment gives a reasonable fee structure according to the complexity of the case. 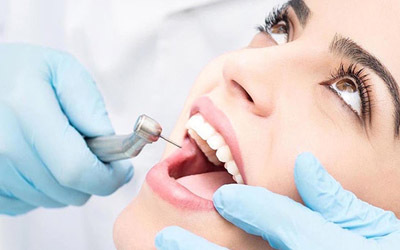 If you are searching for a painless root canal treatment in Ahmedabad, and on a reasonable price, then you must visit the dental care of Dr. Mansi Patel which is located in Setellite Ahmedabad, fully fledged with all required apparatus, instruments and employees that work to give you best services either in single sitting or in two to three session as per your convenience that doesn’t cost much. Cheapest root canal treatment in ahmedabad.